Eyesynth is an audiovisual system for the blind. 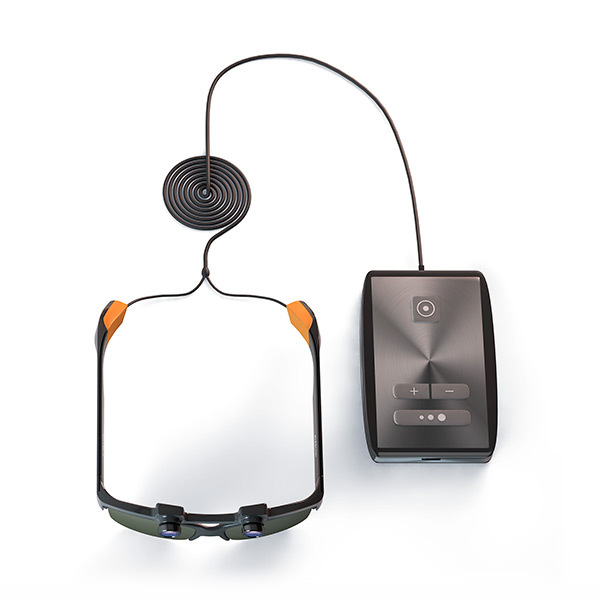 It consists of a pair of glasses connected to a micro computer. 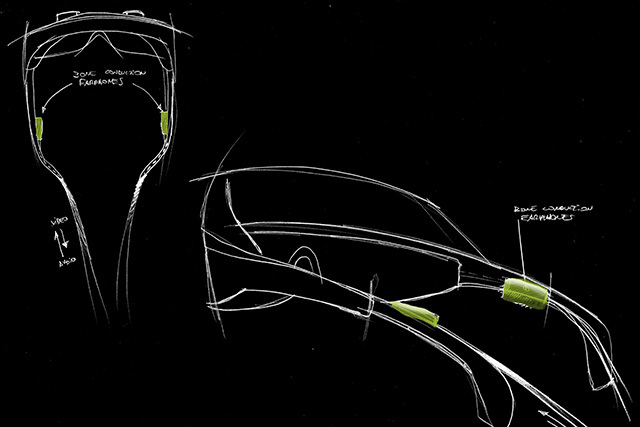 The system records the surrounding environment in three dimensions. Then, the collected data is converted into understandable audio for the blind. It works in full 3D. The user not only can identify shapes and spaces: he/she is also able to measure depth and locate objects accurately. The sound is abstract, no words are used, and the system is very easy to learn. It’s a new language that the brain can automate. Cochlear audio. The sound is transmitted through the head bones, so the ears are free to listen. The ear fatigue is avoided. 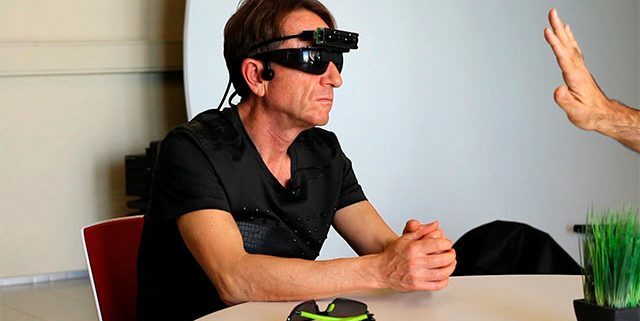 The glasses send images to the micro-computer which processes them in real time, so the user receives instant feedback. The environment is captured and processed in full 3D. This means we have information about depth as well. Then, the computer converts all of that information into a series of sounds that interprets open spaces, shapes and obstacles. The sound is abstract, there is no verbal language involved. After a brief training period, the brain automates the information processing, so the rest of your attention is free to focus on conversations, walking, working or whatever activity you´d like to do. The glasses only capture the central, front view. The user has to sweep left and right, in a similar way as when using a cane. 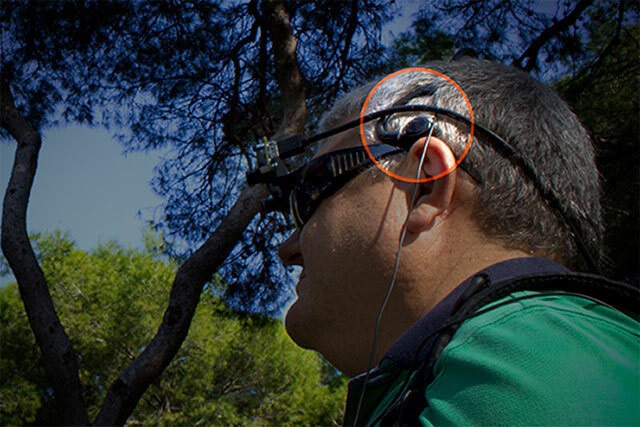 The glasses capture the whole scene, and distributes the audio in the stereo field. The user gets a full panorama in stereo audio. One important aspect is how can we feed the audio without disturbing hearing. Imagine… eight hours a day with a headphone inside your ears. Not confortable. Not hygienic. Too isolated. Our approach is quite different… Cochlear audio, which consists of a couple of soft rubber cushions that touches your head. The sound is transmitted through your head bones, leaving your ears open. This is good for conversations, traffic and avoiding hearing stress.